A team of scientists from the University of Oklahoma's (OU's) Advanced Radar Research Center (ARRC) is deploying two mobile weather radars from the ARRC in advance of hurricane Joaquin. Hurricane Joaquin has already reached major storm status (Cat 3) and is expected to strengthen further before weakening slightly by landfall. Given that inland flooding is a major cause for loss of life during landfalling hurricanes, the ARRC scientists will focus on studying "Rossby Vortex Waves", an atmospheric wave phenomena that generates rain bands that spin outward from the eyewall region into the inner core of the hurricane. It is believed that these rain bands contribute significantly to the flooding rains that accompany many landfalling hurricanes. The team, led by Dr. Michael Biggerstaff from OU's School of Meteorology, have deployed mobile radars in past hurricanes including Isabel in 2003, Francis in 2004, Ike in 2008, Irene in 2011 and Isaac in 2012. The two radars being sent to study Joaquin are the ARRC's rapid-scanning dual-polarimetrric X-band radar (RaXPOL) and the C-band dual-polarimetric Shared Mobile Atmospheric Research and Teaching (SMART) radar. Both radars have been used to study tornadic storms, lightning, nocturnal heavy rains and hurricanes. The OU group is part of the Digital Hurricane Consortium, a collection of university, private sector and federal laboratories that coordinate research observing system deployments in advance of landfalling hurricanes. This year the SMART radar data will be transmitted back in near real-time to a server at OU and made available to the National Oceanic and Atmospheric Administration (NOAA) for dissemination in a preliminary test of the Coastal Recovery Act which will support future deployments to aid operational weather forecasts and warnings during landfalling hurricanes in the US. ARRC professor Dr. Phillip Chilson talked about the potential of using drones - unmanned aerial vehicles - to provide weather coverage for the lower atmosphere. To hear more about the story, please visit this link at the Oklahoma's KOCO 5 website. 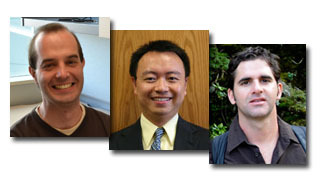 Research Scientist Dr. Pierre-Emmanuel Kirstetter (ARRC/NSSL), along with Dr. Yang Hong (CEES/ARRC) and Dr. Jonathan J. Gourley (NSSL) are members of the Global Precipitation Measurement (GPM) Post-Launch Team recently selected for a NASA Agency Group Achievement Award with a citation “For exceeding all expectations for GPM operations, data processing, algorithm performance, science impact, and education and public outreach within one year after launch”. GPM is an international network of satellites that provides the next-generation observations of rain and snow across the entire globe. NASA's most prestigious honor awards are approved by the Administrator and presented to a number of carefully selected individuals who have distinguished themselves by making outstanding contributions to the Agency's mission. These NASA awards highlight the contribution of outstanding hydrometeorological research conducted on the Norman campus to advance our understanding of Earth's water and energy cycle, improve forecasting of extreme events such as floods, and extend current capabilities in using accurate and timely observations of precipitation to directly benefit society. Please join us for the 2015 International Symposium on Earth-Science Challenges (ISEC) to be held in Norman, Oklahoma. ISEC is dedicated to bringing together scientists and engineers from around the world to share recent advances in the study of the Earth. Attendees will enjoy an exciting social program centered on the many attractions in Norman, Oklahoma. Abstract submission is now open and can be found under the 2015 ISEC tab. ARRC professor Dr. Phillip Chilson talked about the potential of using drones - unmanned aerial vehicles - to potentially cover the lower atmosphere where radar, satellites and balloons do not provide sufficient coverage. To read more about the story, please visit this link at the Oklahoma's News 9 website. ARRC team, including Bob Palmer, Tian Yu, and Boonleng Cheong, visited the Korean Meteorological Administration in May 2015 to discuss potential collaboration around wintertime polarimetric radar measurements. ARRC faculty Dr. Phillip Chilson was interviewed on the Oklahoma Innovations Radio Show on the OCAST Radio Network to talk about the sensing of the atmosphere using Unmanned Aircraft Systems (UAS). If you missed the show over the weekend, you can listen to the show again using this link. 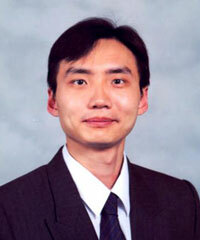 Dr. Zhang is one of three recipients to receive the annual President's Associated Presidential Professorship for 2015. This award is given to a professor that shows accomplishments in the following: Teaching, Research and Creative Activity, Professional and University Service. Congratulations Dr. Zhang! 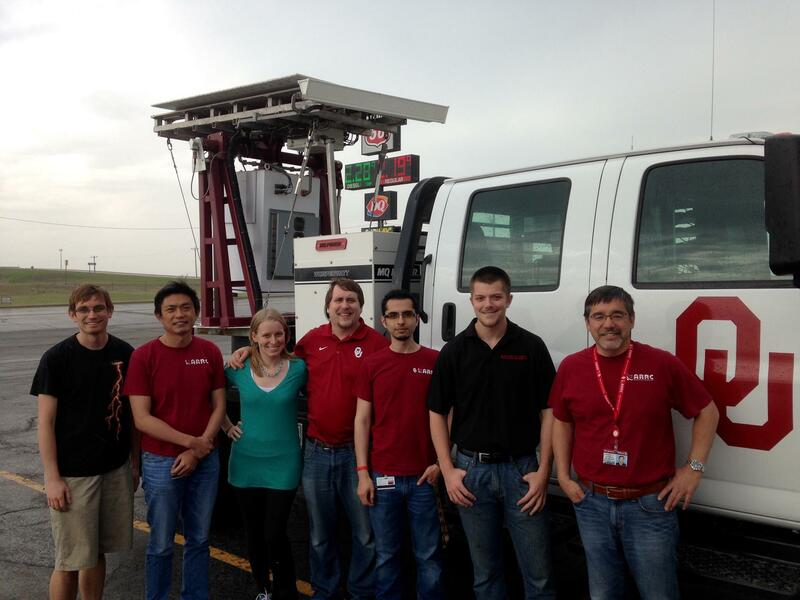 ARRC Students and Faculty chase storms in Northern Oklahoma on Wednesday, April 8, 2015 with the Atmospheric Imaging Radar (AIR) truck. 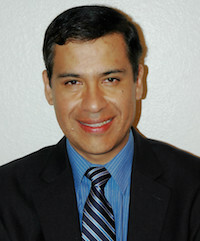 The ARRC would like to welcome Dr. Jorge Salazar-Cerreno as a the new tenure-track Faculty member joining the College of Engineering and the College of Electrical and Computer Engineering!